22.08.2017. Today we started to register the wines for submission to SapPrize. Participating companies are requested to fill in and return the official Registration Form. The registered entries are shipped to Georgia. 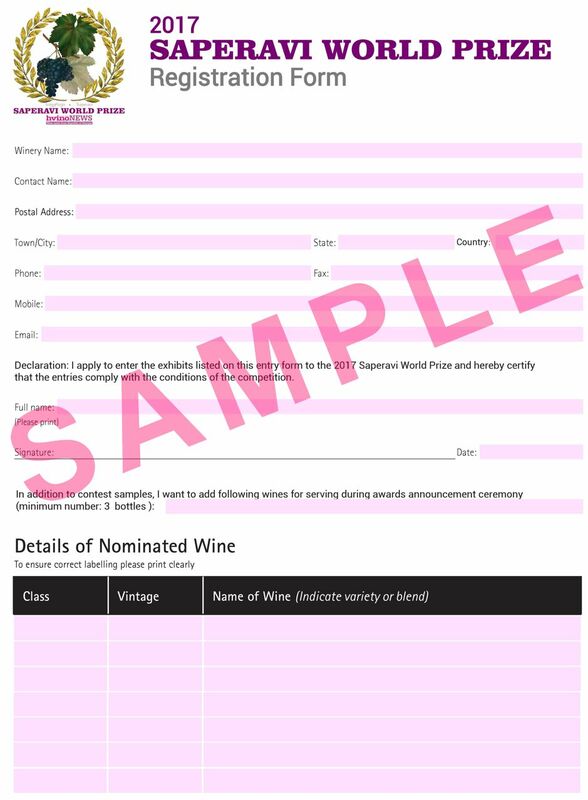 The Registration Forms are listing all wines which each company submits to the competition, with name and vintage year. Besides the wines for competition, the wineries can send additional bottles to be served at the reception, during the awards announcement ceremony. We wish best of luck to all contestants!